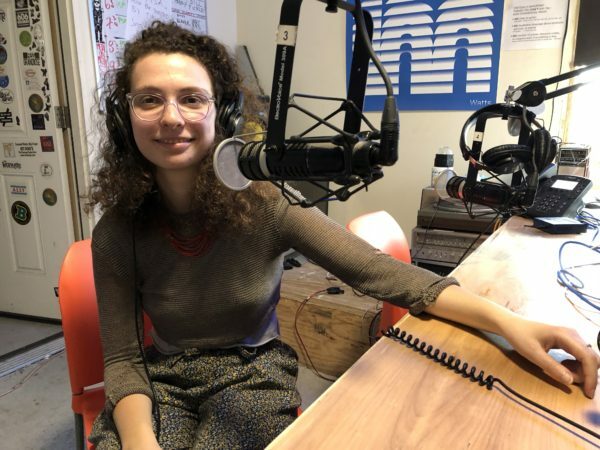 This week on Bad at Sports Center Ryan and Dana are joined in the studio by Kimi Hanauer, an artist, cultural organizer, publisher and writer in Chicago for the opening of “All Positions Depend,” curated by Josh Rios at ACRE Projects. Hanauer provides insight into her installation “All Allegiance,” detailing her investigation into early formations of citizenship and the origins of White Supremacy in the United States. We also learn about Press Press, a Baltimore based interdisciplinary publishing initiative, and their work with immigrant youth. Towards the end of our show, co-host RPM ‘terms up the volume’ with some cutting edge words. All this & more on this weeks episode of Bad at Sports Center!